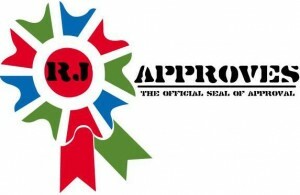 VCENTER APPLIANCE 10433 INVENTORY SERVICE ISSUE | RJ Approves This Message! > After deploying vcenter appliance, while using the web client you see a message Inventory service failed to connect at port 10433. > Rebooting the vcenter server wont fix it. > You will have to re-run the vCenter Setup wizard with defaults. > Once done, re- add the Active directory, re-add vcenter permissions and you should be good. > vcenter hosts and other info should remain intact. I did not really deep dive in this issue and vmware isn’t clear in any of its KB articles either. But when you see the issue mentioned above in the vquicky, simply re-run the vcenter appliance setup wizard with defaults in place. Remember to stop the vcenter and inventory services before you run it. Once done, go ahead and add Active directory credentials and then reboot the vcenter. Once up, login to the web client using root/vmware – and assign the vcenter permissions to the domain user group in case you have one. (you should its good practice). Once thats done you should be good to go!